Citizens usually do not have a clear idea that enormous sums of public money are atstake in the cases of misuse of government funds by institutions. 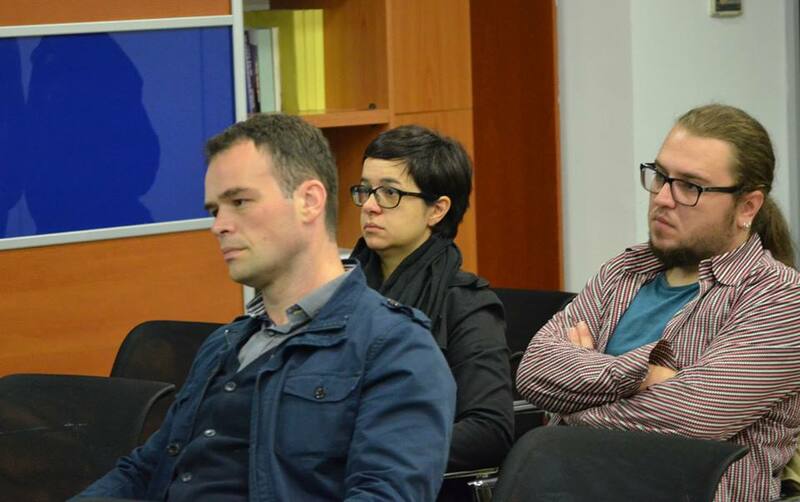 Therefore, investigative journalists have to find alternative, sometimes visual, ways to bring information closer to the citizens. 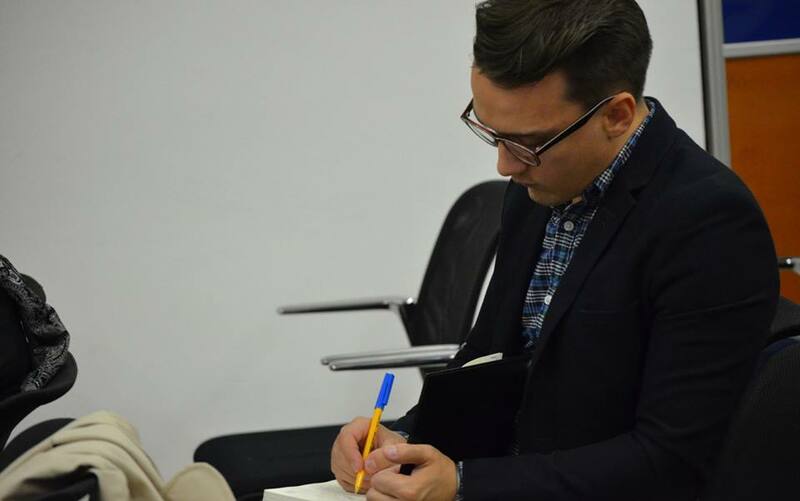 They should put more efforts and energy, as well as devote more attention in order to persuade people to give a contribution through their personal testimonies concerning particular investigative stories. 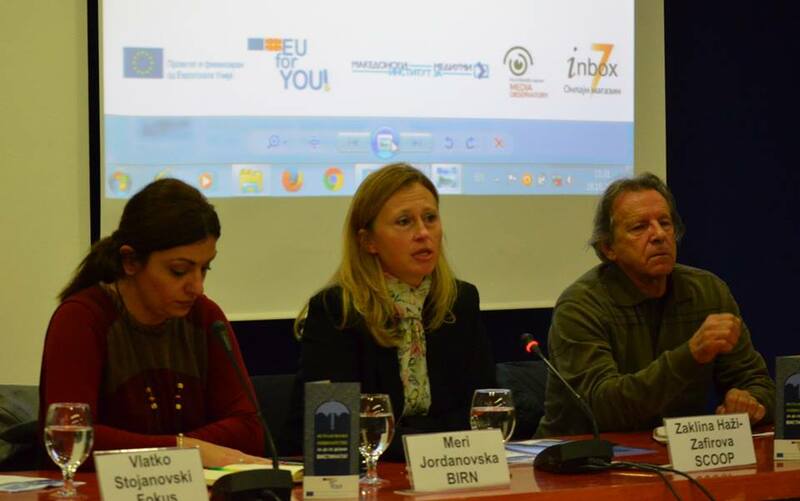 These were some of the points that journalists Mary Jordanovska from the Balkan Investigative Reporting Network (BIRN) and Vlatko Stojanovski from the weekly Focus stressed out at the debate "Investigative journalism – for revealing the truth" organized by the Macedonian Institute for Media and the Center for Investigative Journalism SCOOP. 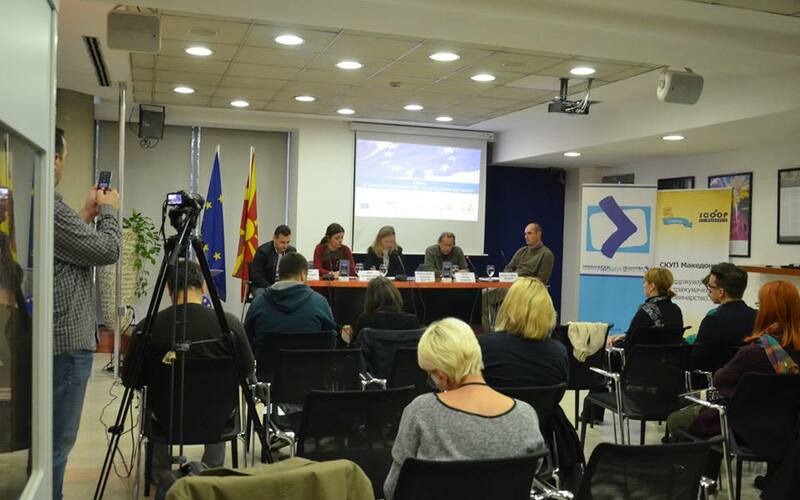 The event, held 17 October 2016, is part of the four-year regional project "Southeast European Media Observatory " in which MIM participates as a national partner. 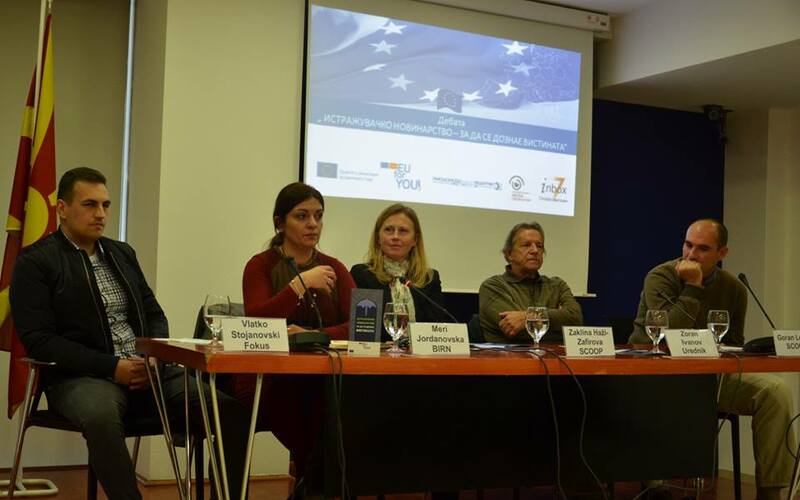 The project is financially supported by the European Union. 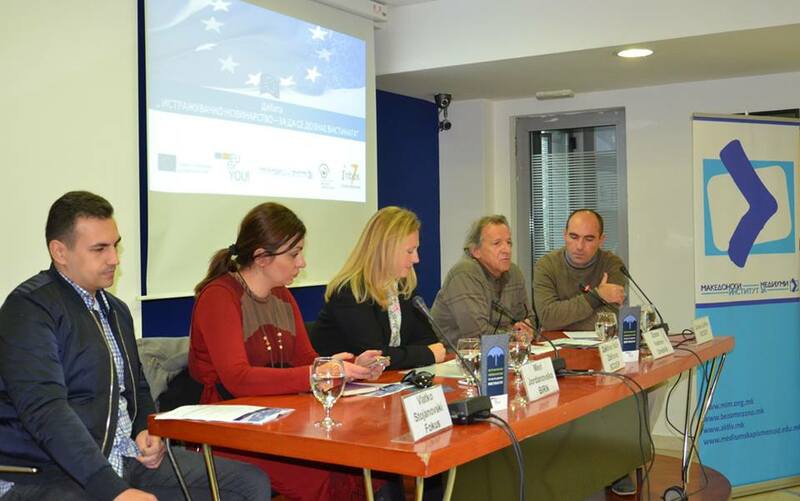 The investigative journalists spoke about the challenges and problems they have been facing while investigating stories of relevance to citizens. Their message was that journalist needs to be persistent in the race against time, meticulous in checking information and unshakable under pressure. 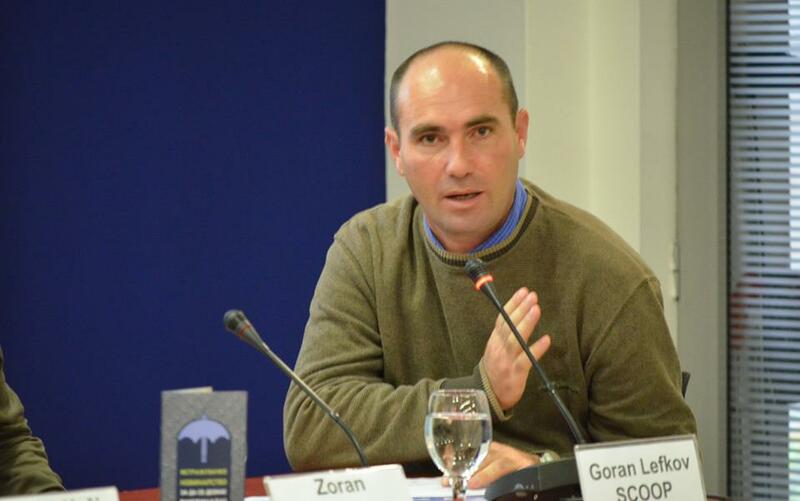 Journalist Goran Lefkov from Center for Investigative Journalism SCOOP encouraged the journalists to use the Law for Access to Public Information as often as possible, and to always try to confirm the information from several sources. 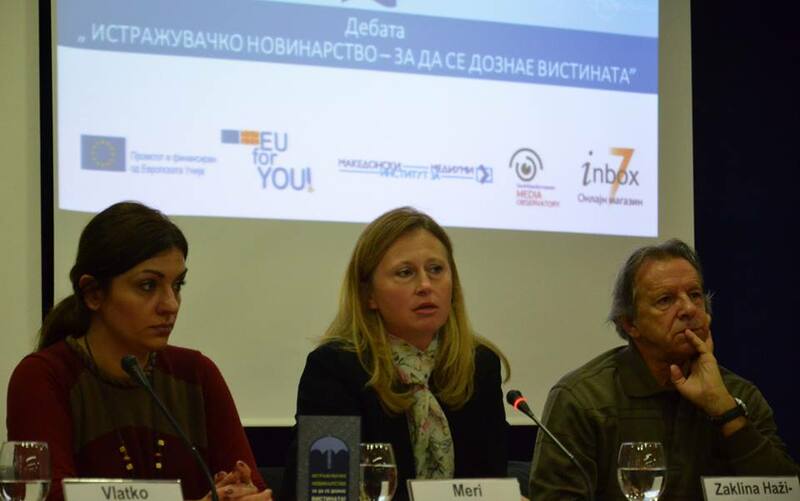 "Investigative journalism is powerless if the institutions, politics and citizens are inert, as well as if media are not standing together", concluded Zoran Ivanov, an experienced journalist and editor for many Macedonian media. 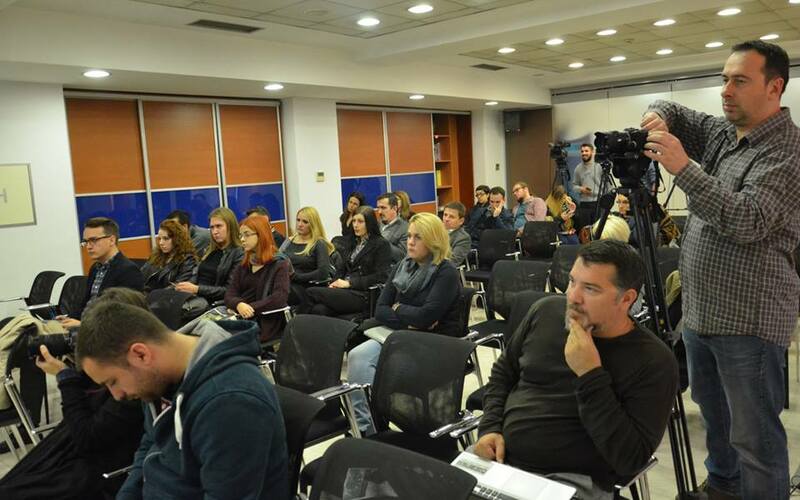 According to him, the public is becoming more interested in investigative stories, while in the practice there are only few "enclaves" that nourish this type of journalism in Macedonia, such as SCOOP, BIRN or Focus. 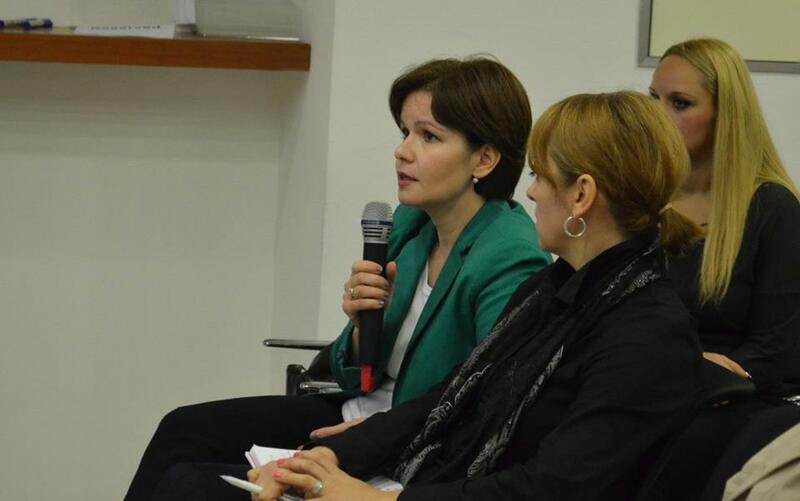 During the event, three short videos on the topic of investigative journalism were promoted. 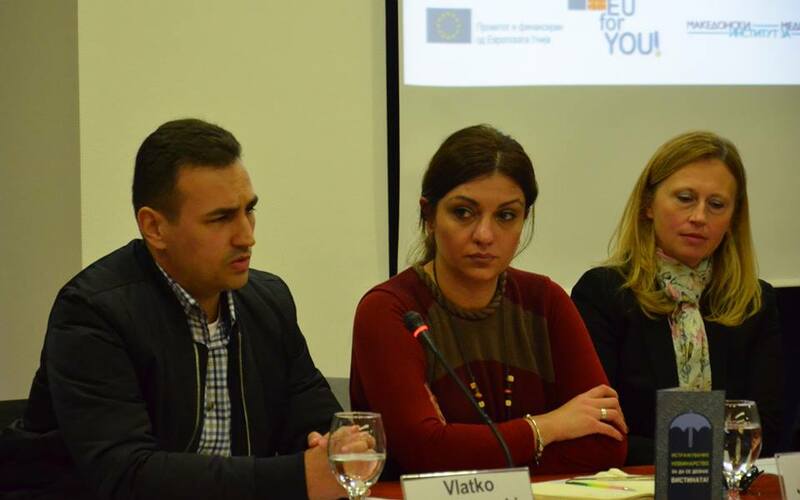 Videos are available in Macedonian language here, and here. 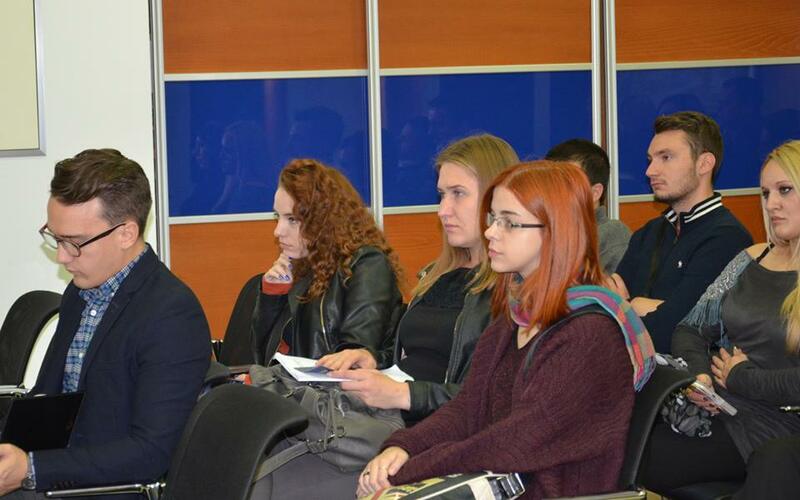 Also, the event involved promotion of a leaflet on investigative journalism. The leaflet spells out how instigative journalism is irreplaceable watchdog of democracy, through which hidden information are revealed and citizens are provided with insights into issues of public interests, which finally enables them to make well-informed decisions. Photos: MIM; More photos available here.